We are giving away a brand new iPad! iPads are great pieces of equipment for children with special seating needs. The app store includes communication apps, sensory games and they can be positioned at a comfortable viewing distance for those with visual impairments. 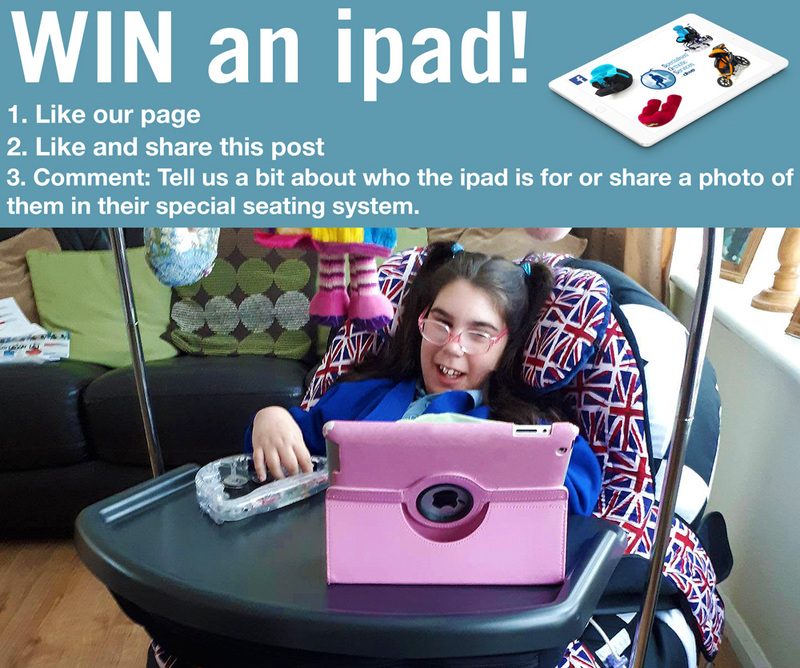 Comment on the competition post: Tell us a bit about who the ipad is for or share a photo of them in their special seating system. A winner will be drawn at random after the Easter Bank Holiday weekend! Good luck!